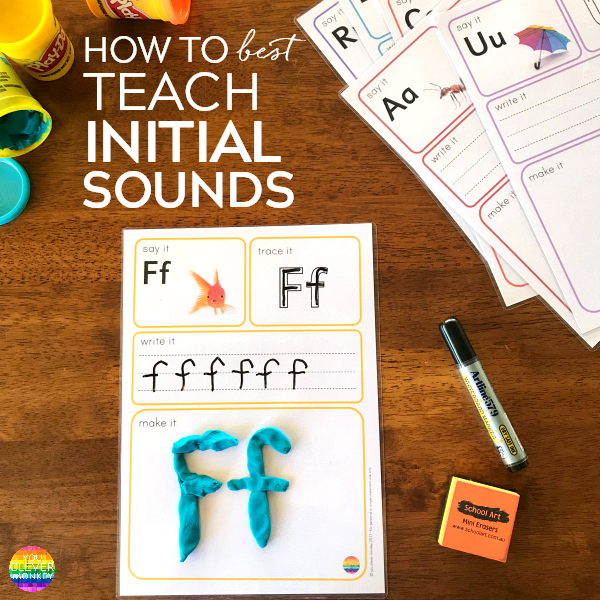 How to best teach initial sounds - teaching ideas and printable resources ideal for young children learning beginning letter sounds. Learning to tell sounds apart is a key literacy skill in the Early Years and a first step in being able to read and write. As parents and teachers we do this orally - helping our children distinguish between sounds like 'd is for dog, c is for cat'. Being able to tell sounds apart in this way is called sound discrimination. 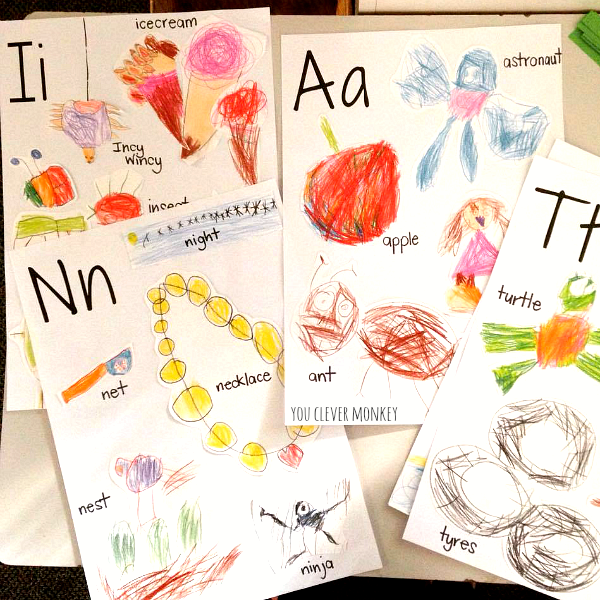 Learning beginning letter sounds is the next step to linking a child's oral language skills to written language - what they see and will attempt to write themselves. But how best to teach preschoolers beginning sounds? What resources to use? 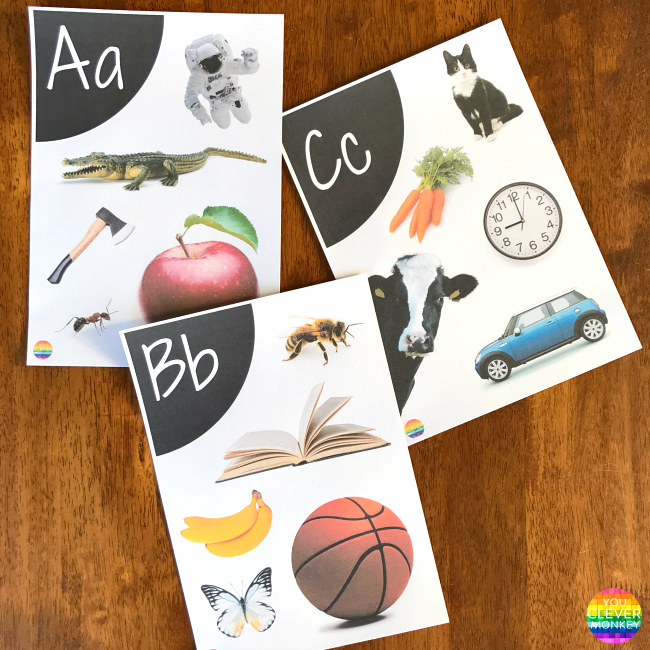 I've rounded up some of my favourite printables for introducing and teaching children initial letter sounds at school or at home. Some experts will probably disagree with me but I introduce both the letter name and the letter's initial sound to children at the same time. I also introduce the upper and lower case letter forms but then spend most of our time teaching the beginning sound using the lower case letter. I believe young children need to be taught early the distinction between a letter's name and the sound it makes in words - D said as 'dee' as it's letter name but makes a shorter 'd' sound phonetically. If a child trying to decode the word dog 'dee-oo-gee' isn't going to make much sense so they need to understand that each letter has a name and a sound or possibly more than one sound - g = g as in goat and game and j as in giraffe and gem. Depending on your literacy program (think Jolly Phonics, Words There Way, Sounds and Letters, Thrass, Soundwaves), each has a particular order for introducing the letters. My preferred way is to teach a letter a day so that over a week you have a handful of letters to review and consolidate at a time. The most common - SATPIN start, then allows children to begin to mix and match these letters to start making simple words - at, it, in, pat, sat, tin, pin. Having visual prompts around your classroom to help support young children check their thinking is key at this stage. 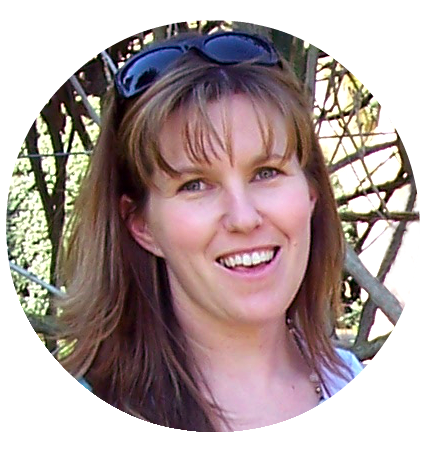 As Early Childhood teachers, we know children 'read' pictures before they read words. I created some picture/sound based alphabet posters for my own classroom which I often catch children 'reading'. You can find a copy of these posters here. With one Reception class, we made our own alphabet wall charts which was such a fun term long project that helped the children understand initial sounds and make connections across different words. 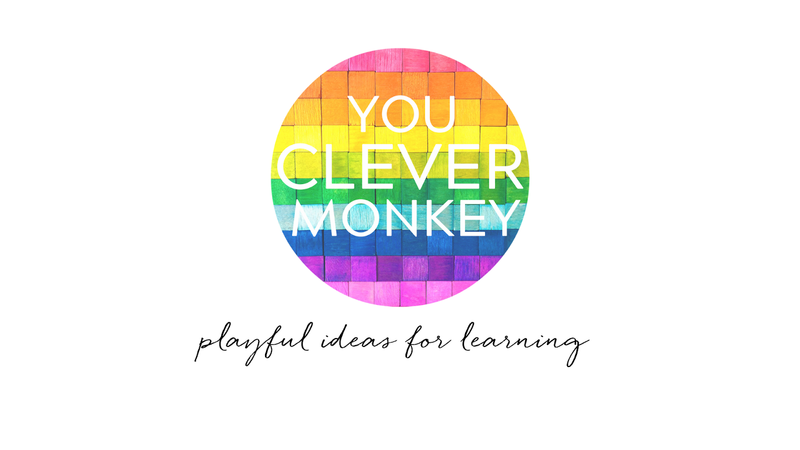 After teach the letter and the sound it makes, resources that allow children to make this connection themselves and practice it are what you need. Anything hands-on is a winner in my classroom. 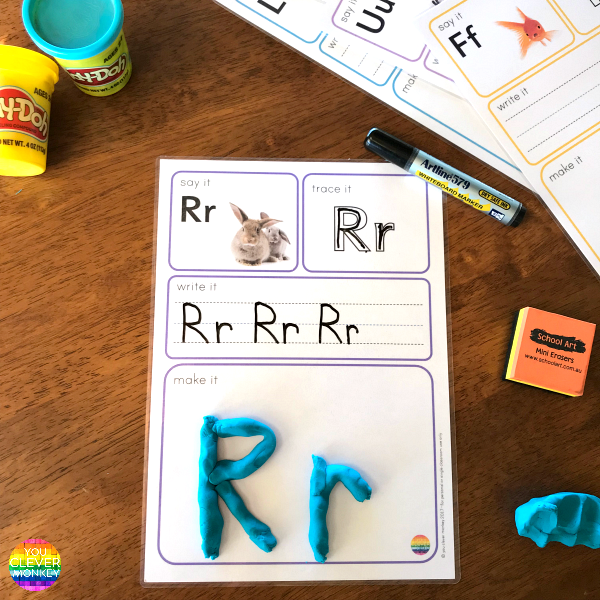 My students love playdough so being able to make the letter using these alphabet mats has been a great way to consolidate their knowledge independently in our literacy centres. I've created mats for the entire alphabet but just use the letters we are focusing on until we have taught all of the alphabet. You can find the alphabet mats here. 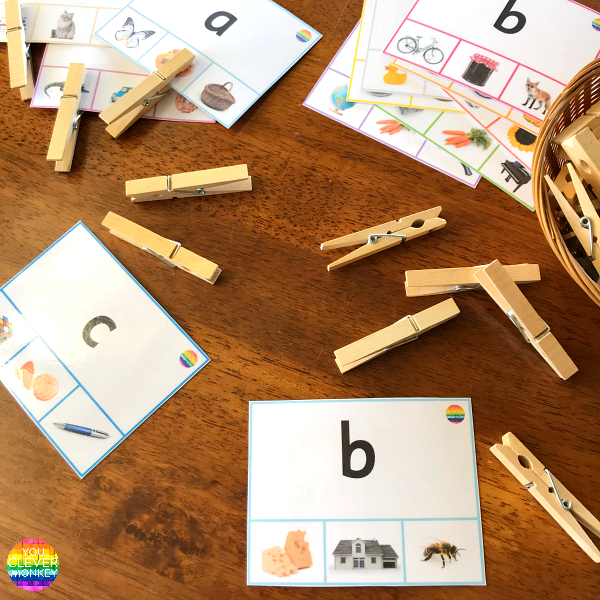 With many young children starting school with poor or underdeveloped fine motor skills, I often use clothes pegs in our centre activities to help strengthen those small hand muscles while allowing them to practice other skills. These peg clip cards are a perfect example. Once the children have learnt their letter sounds they can practice differentiating between just three pictures to find the one that matches the letter displayed on the cards. You can find these cards here. 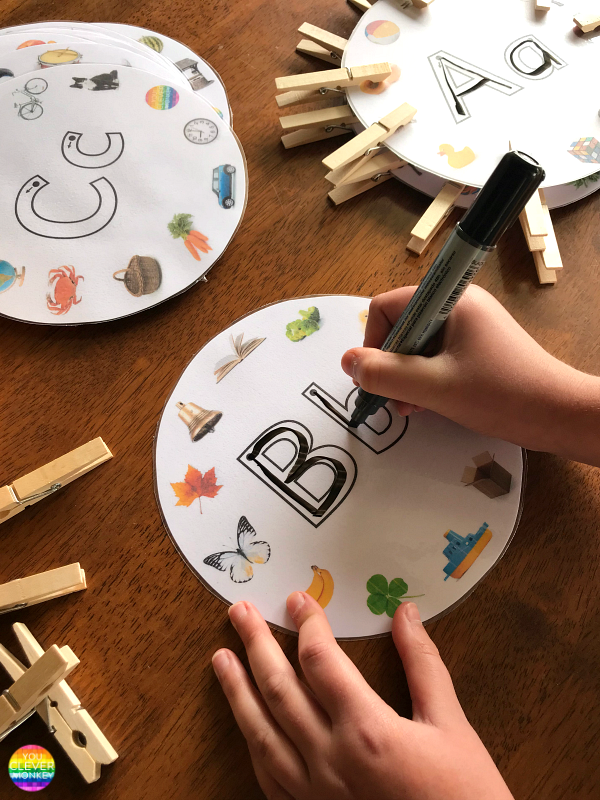 The next step up from our peg clip cards are our letter sound wheels as they still require children to use their growing understanding of initial letter sounds but now have a few pictures that don't belong. We've also thrown in some handwriting practice making these initial sound wheels one of my favourite resources ever. 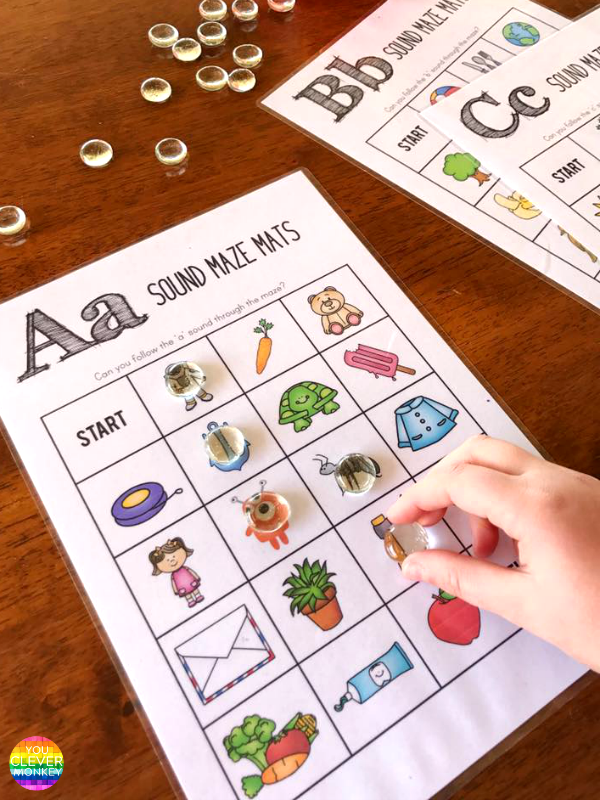 Disguised as a game, our letter sound mazes ask children to do the same as our letter sound wheels in they have to differentiate between sounds to find their way through the maze from the start to the finish. A little less complex, these initial sound mats have long been a favourite in my classroom. 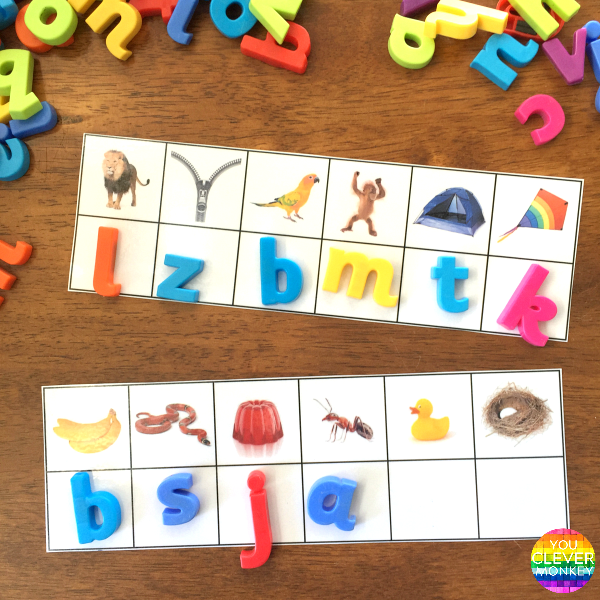 Simply print and add magnetic letters or laminate and write the letter to match the beginning sound. 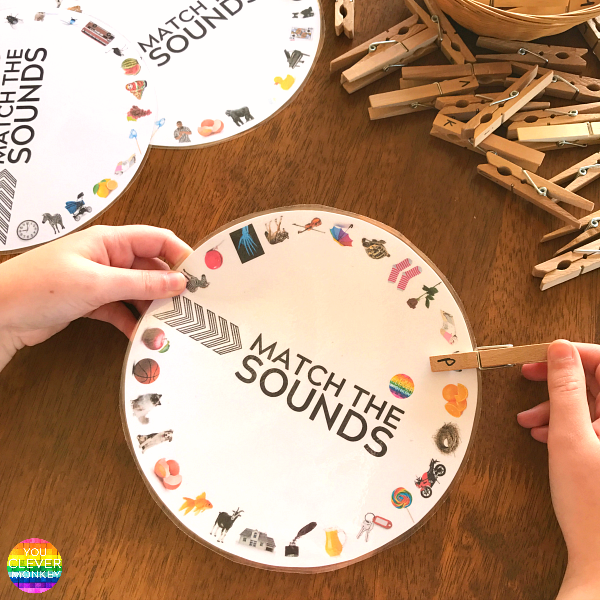 These letter sound wheels ask children to do the same but they have individually labeled clothes pegs to match the letter to the first sound in each word. You can find these wheels along with our FREE upper/lower case letter match wheels here. Few have been able to resist our initial sound alphabet mats! 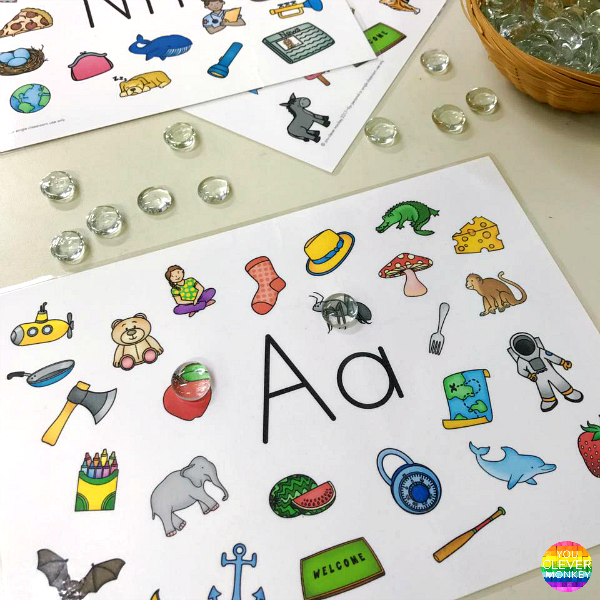 Simple to prep, just print and add some counters for children to search for all the words that start with the letter sound displayed in the middle of each mat. With a mat for each letter included, the children can see clearly that few words start with 'X' or 'Q' compared to 'B' or 'T'. You can download the mats from here.